① Pour the soymilk into a heat-resistant bowl and add the bittern. Stir with a spoon slowly to avoid forming bubbles. Mix thoroughly by doing this. ② Cover the bowl loosely with plastic wrap and heat in a microwave for 1 minute. Remove the bowl from the microwave, remove the wrap and use a spoon to stir the mixture. Cover with the wrap once again and heat for 2 minutes. Remove from the microwave. If the mixture has not solidified sufficiently, cover with wrap again, heat for 10 seconds, and check the consistency. Do this repeatedly if necessary. Once you see bubbles forming around the edge of the mixture, the tofu is done. 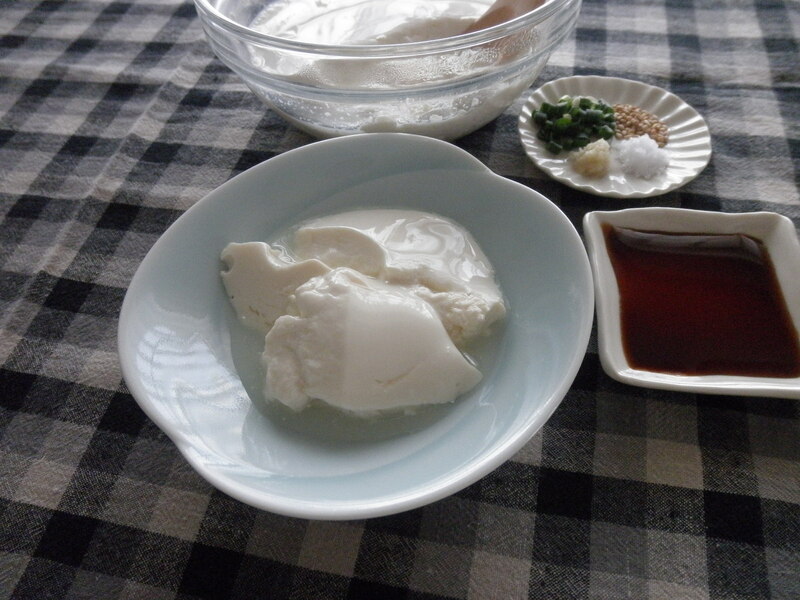 ③ Use a spoon to scoop the tofu into a serving bowl, dress with your favorite condiments and enjoy.